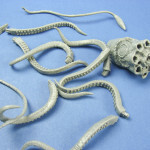 Advantages: Well molded, new and unique take on the Jules Verne submarine. 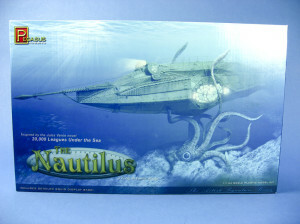 Designed by Greg deSantis, this is a new take on the Nautilus from “20,000 Leagues Under the Sea”. 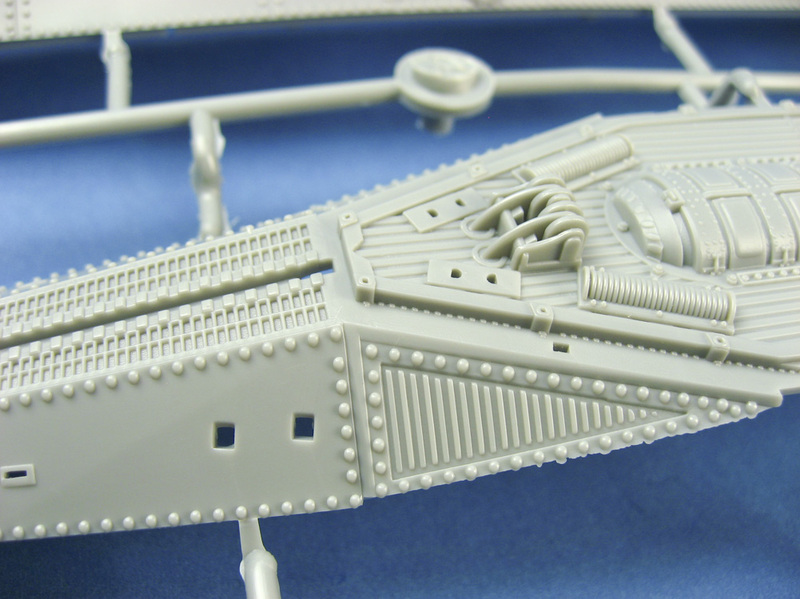 The craft has a more angular and riveted appearance, lending itself to more of an American Civil War feel (right down to the spar torpedo) or even Steampunk. I’ve never been a huge fan of the Disney film or any of those interpretations of the Nautilus, but this one definitely appeals to the Civil War historian in me. 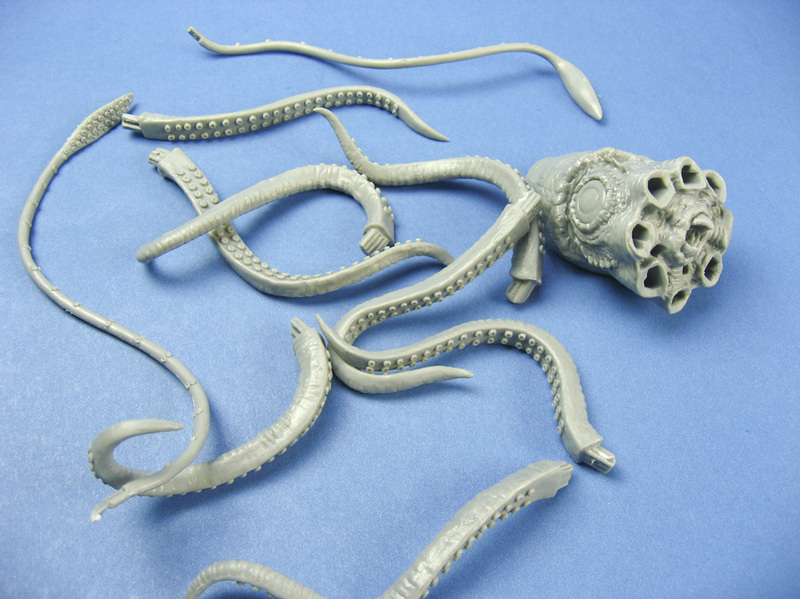 The kit is all styrene construction, with the possible exception of the giant squid display base; I know Pegasus uses some sort of PVC at times, and that’s what the tentacles feel like. The transparencies for the bay windows and portholes are well done and crystal-clear. Detail on the kit is immaculate: rivet are well formed, open grills have little flash, and surface details such as vents are sharp and well defined. One item that I’ve never seen injection molded before are the separate chains. Each link is well defined and I can’t see the need to replace these kit components with aftermarket metal chain, they’re that well done. The instructions are well drawn, exploded-view 3D, and easy to follow. Overall this is a very impressive kit, and well worth having if you’re into the subject matter.